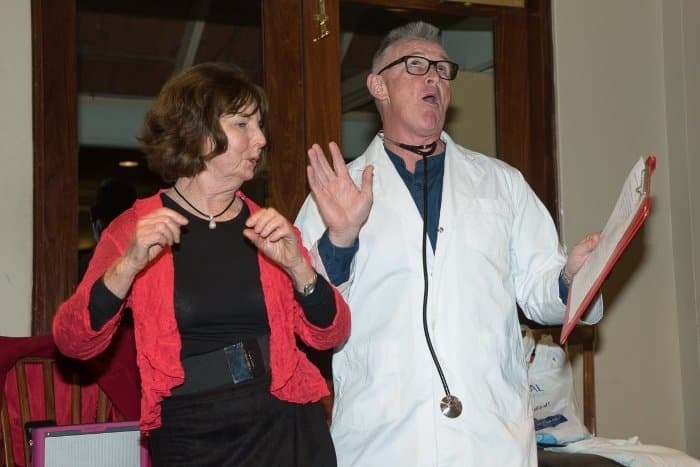 Many of us are still humming the tunes performed by our many talented members at the Y Striders 21st Birthday Dinner held at Glen Iris Country Club on Sunday night. 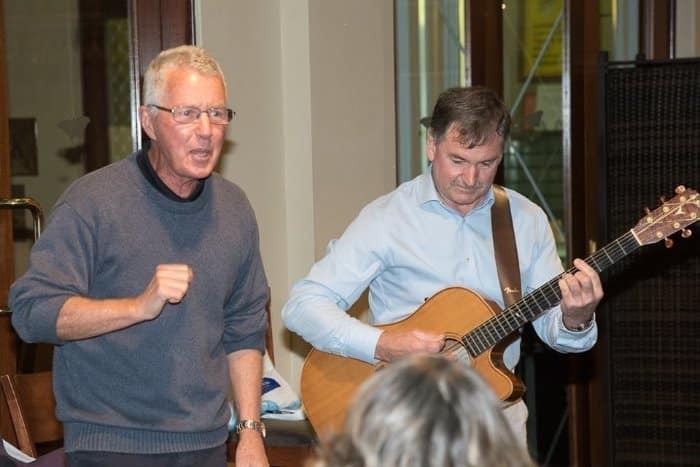 Past and present presidents Chris and Ken started with a memory defying rendition of “I’ve Been Everywhere” – first performed to much merriment on our recent club trip to Tasmania. 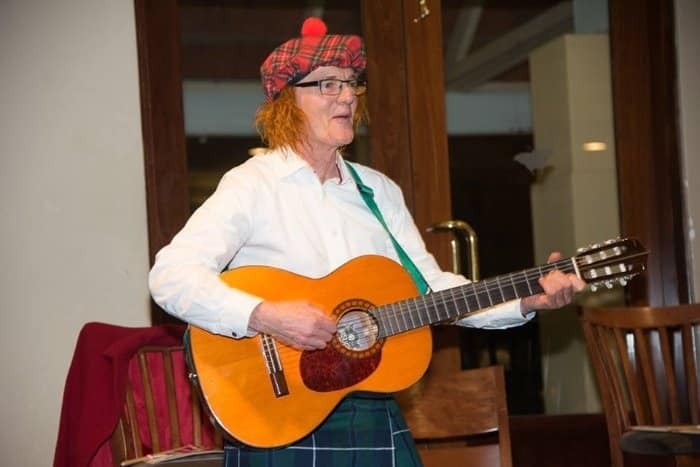 Donald (AKA Brian) was right at home in Glen Iris as a kilt wearing balladeer with a shock of red hair and “no troosers” it seems. 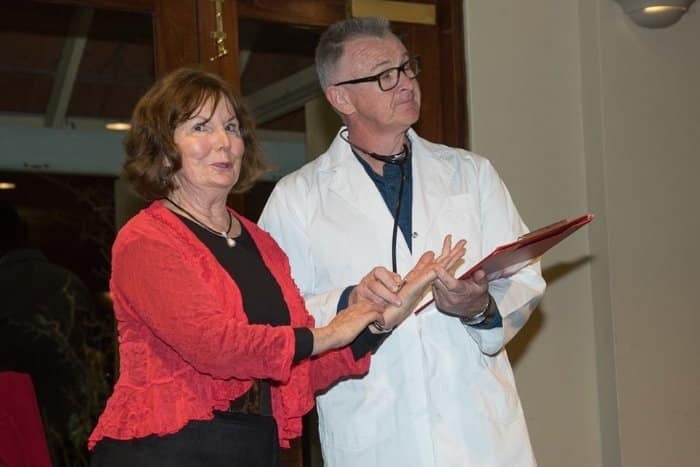 Doctor Dave and his amorous patient Ann, finished with “Goodness Gracious Me” – (still ringing in my ears) Women were lining up to see Doctor Dave who said he could be available for 6 minute consultations at $60 if needed. Food and service at Glen Iris was great – thank you Social Secretary Ann for organizing, secretary Elizabeth for advertising and co-ordinating, and treasurer Julie B for collecting and disbursing funds. 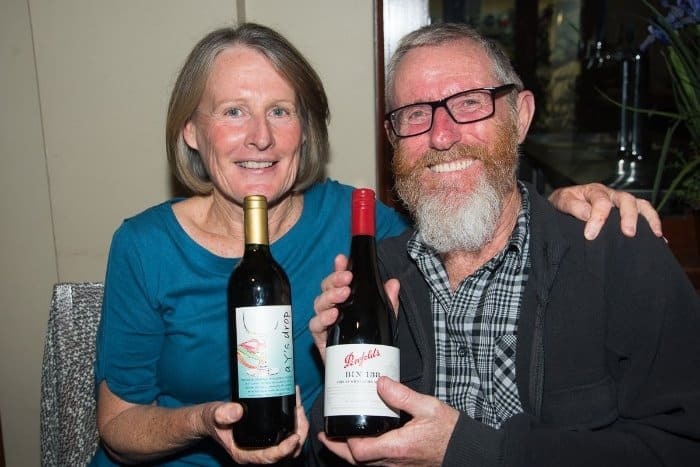 Like herding cats, president Ken kept proceedings on track and on time and started the night with a thank you to the four founding members who were present – Elizabeth, Darryl, Ros and Karen – all still walking and very active members in club affairs. 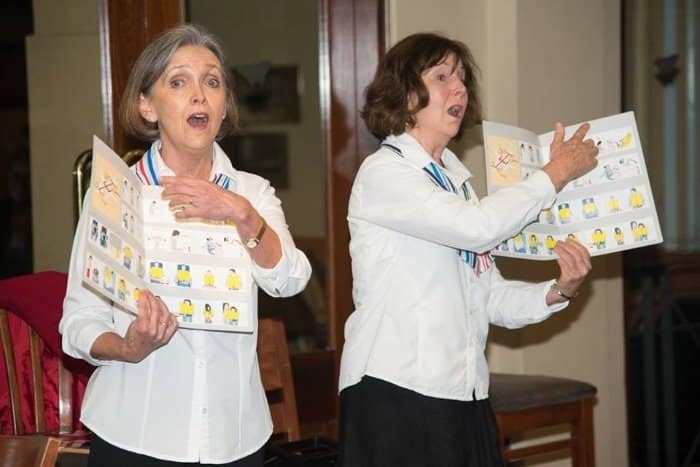 Friendship, care and support is often demonstrated in our club and for Birgit and Iris recent accident and health setbacks have shown again our club spirit. Ken outlined the benefits of belonging to a club. Our strength is we care not just about our physical health but the emotional health of our members. So a toast to our 21 year old club – From Strength to Strength – In Spirit, Health and Numbers.